Luxury 4 bedroom chalet in one of the most beautiful undiscovered parts of Austria, Stadl an Der Mür. Available in Winter and Summer with prices from £480/week. Why not stay in a luxury chalet in one of the most beautiful, undiscovered parts of Austria? This delightfully, warm and welcoming chalet is built in a tranquil hamlet just outside of Stadl an Der Mür which lies on the borders of the picturesque provinces of Salzburg, Styria and Carinthia. The region is primarily known for its many lakes as well as the majestic Hohe Tauern mountain range. With skiing between 1700 and 2200m it boasts some of Austria’s most snow sure skiing yet also benefits from over 200 days of sunshine a year, making it a truly dual season resort. 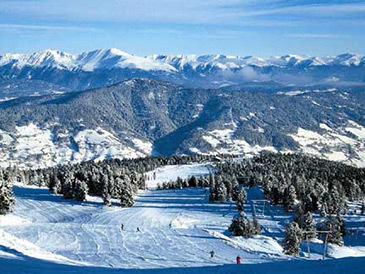 Photo gallery showing the chalet and surrounding Styria region in both Winter and Summer.